Welcome Table Christian Church offers a sacred gathering space in an urban setting for retreats, worship, meetings, cultural events, and celebrations congruent with our mission statement. 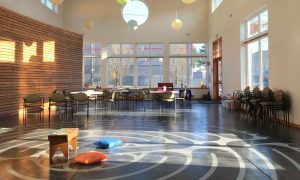 This new building is an ethically-priced and gorgeous space of 4500 square feet filled with daylight, an inner garden space, a soaring roof, and a permanent, 26-foot Petit Chartres labyrinth on the floor that can accommodate up to 150 people , depending on the event/set-up. We also have smaller spaces for smaller groups. 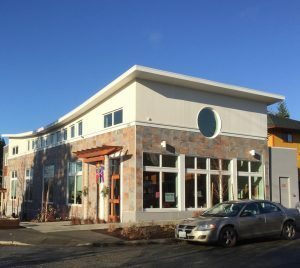 For more information, visit our Spacefinder page, contact WTCC’s Office & Building Use Administrator, Kevin Gospel, at (206) 725-5067 or office@welcometablecc.org.